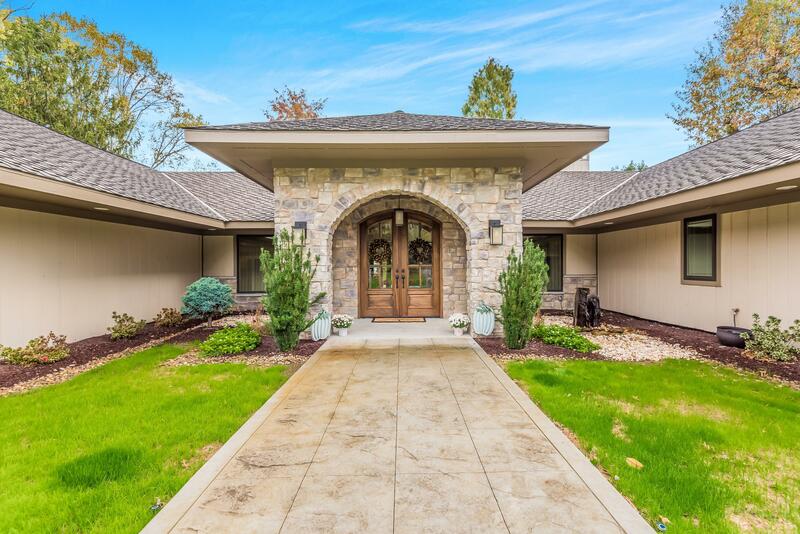 Situated on Hole #1 in Fox Den, impeccable design abounds in this open floor plan 4BR ranch. Enjoy a designer kitchen perfect for entertaining and cooking featuring a 6 burner gas range, custom cabinetry, and large island. Off the kitchen is a large living room with multiple sitting areas to enjoy the wood burning fireplace. Soak in the views from the new outdoor covered patio w/tongue and groove ceilings. Master BR features trey ceilings and luxury bathroom offering a free standing tub, custom tile shower, and walk-in closet. Fantastic opportunity to own a landmark property in the heart of Fox Den.